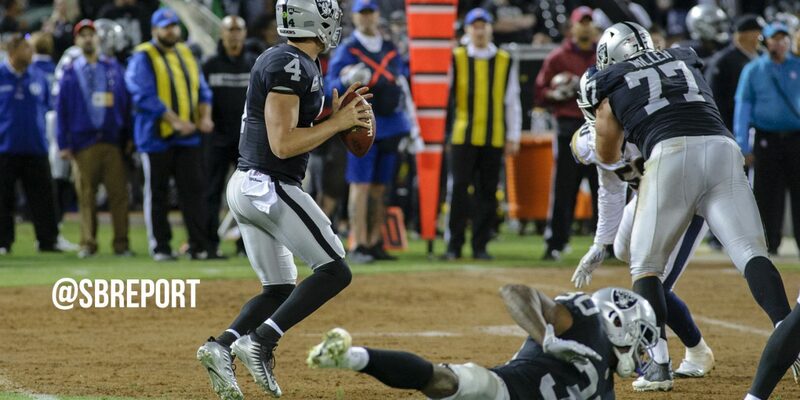 The Oakland Raiders kicked off their 2018 season on Monday Night Football when they hosted the Los Angeles Rams. Let’s take a look at the good, the bad, and the ugly that came out of the game. 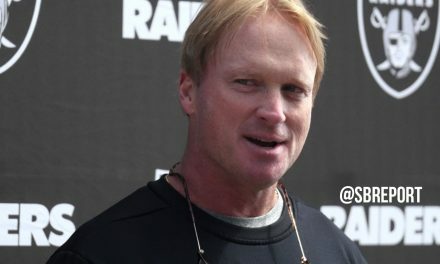 Jon Gruden orchestrated a perfect opening drive to go up against a stout Rams defense presented by defensive coordinator Wade Phillips. Quarterback Derek Carr did a good job changing the plays at the line of scrimmage to put his playmakers in a position to win. The Raiders went 75 yards in just seven plays to open the game with a touchdown. Defensive coordinator Paul Guenther’s defense got off to a perfect start as well, holding the Rams offense to a three-and-out to give the ball back to the Raiders. 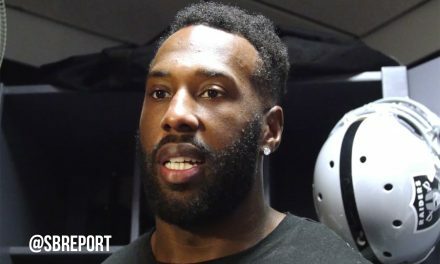 Veteran tight end Jared Cook hasn’t been mentioned much since joining the Raiders but he deserves it after a big Monday night. Cook got his night started early, taking advantage of a matchup against a linebacker to rumble down the field for a big gain. In all, the tight end hauled in nine catches for 180 yards, the most for any Raiders tight end. It’s no doubt that the Raiders want to rush the ball and after a strong start Monday night they really didn’t find much running room. 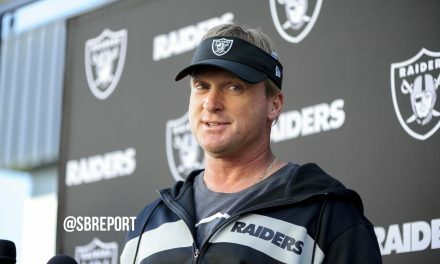 Lynch started the game by rushing it four times for 19 yards and the Raiders only touchdown on the first drive but had just 22 yards on seven more carries after that. In all, the Raiders had just 95 rushing yards for the game. 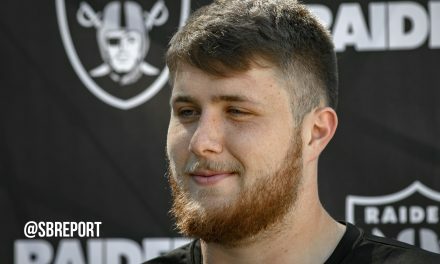 The Raiders will surely need to have more success running the ball if they want to have success this year. Carr had to burn two timeouts early in the game, one on the opening drive of the game and one on their first drive of the second quarter. Gruden and Carr need to have better communication to avoid burning those timeouts early. The team looked like the Raiders of old, finishing with 11 penalties for 155 yards. Only two of the penalties gave Rams first downs but they were both on third down. On top of that, many of the penalties on offense were drive killers. The team needs to clean up their penalties moving forward. We’ve seen Carr throw interceptions before but it’s usually because his confidence convinces him to try and make a throw into a tight window, similar to his first one Monday night. On his first interception Carr simply under-threw it into the end zone to Cook. Carr’s second interception came in the fourth quarter when he just flipped the ball up with nobody around except for the Rams defender. The third interception came when Cook looked to break off his route and Marcus Peters jumped the route to intercept Carr and return the ball back into the end zone for a pick-six. There was little doubt that the Raiders missed Khalil Mack on the field on Monday. The Raiders defense had just one sack and two quarterback hits all game and both of them came in the first half. Rams quarterback Jared Goff had too much time behind the line, putting the Raiders secondary in a difficult spot.